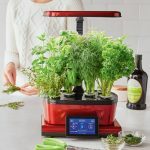 In today’s world as the people are starting to realize their health is directly related to their diet, the demand for fresh food production is rising quickly. 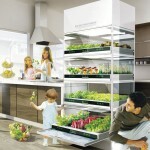 In dense urban areas self – contained hydroponic gardens that can be built into kitchens meets the need to produce and consume fresh healthy food. 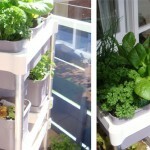 With the trends of healthy living and the need to acquire fresh food, home gardening habits are on the rise, especially in urban areas. 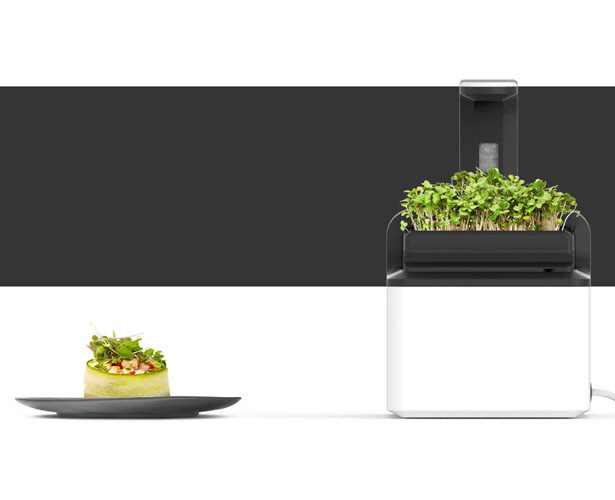 Mizzle is a smart aeroponics kitchen appliance designed to grow tiny, edible greens grown from the seeds of vegetables and herbs known as microgreens. Microgreens are loaded with nutrients, such vitamins 40-fold than the mature leaves of the same plants. 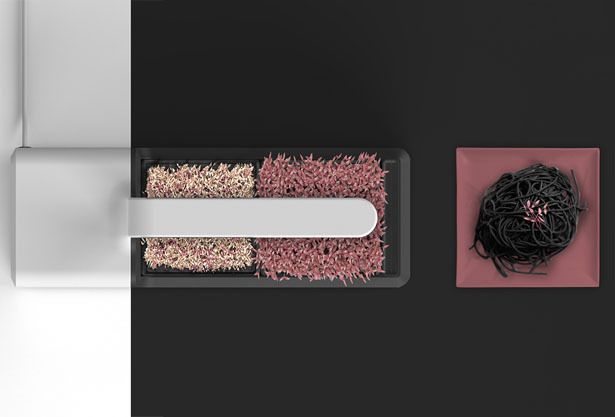 Mizzle by Gökhan Çetinkaya and Deniz İbanoğlu is a smart cultivator which encourages users to grow and consume these plants packed with high nutrition easily at their homes. 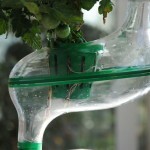 It has three compartments, one for germination that is closed to obtain a dark space and other two open to light for the following stages until the harvest day. 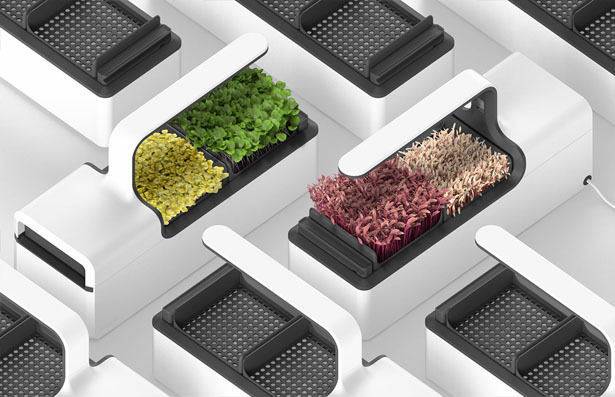 On each compartment there is a growing tray. On top of the trays the user lays an aeroponics growing pad that has the microgreens seeds in it. 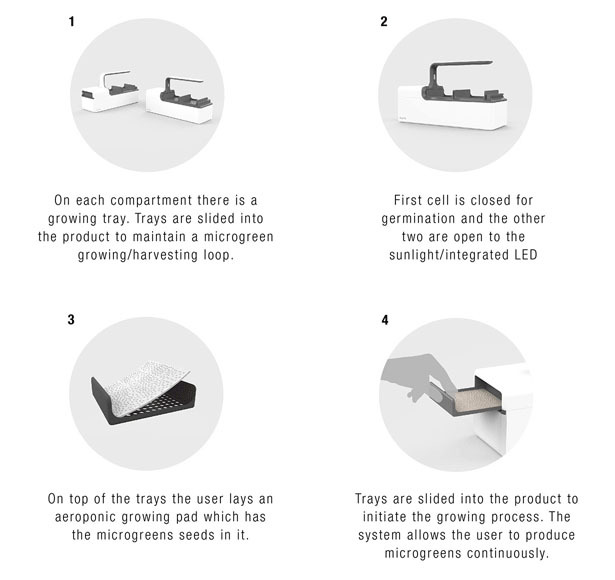 Trays are slide into the product to maintain microgreens growing / harvesting loop. 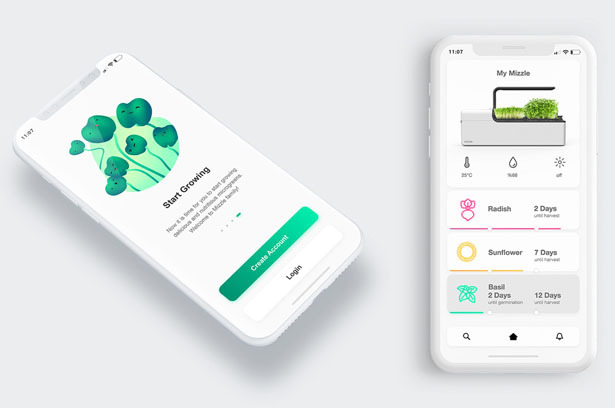 Users can follow the status of the microgreens and the system with the mobile application. They can add their own Mizzle to the application. 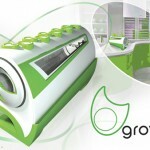 They can also follow the current microgreens growing cycles, germination alerts and the water level of the tank. 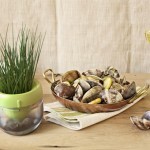 The application provides more information about different types of microgreens and recipes to go with each type of microgreens. 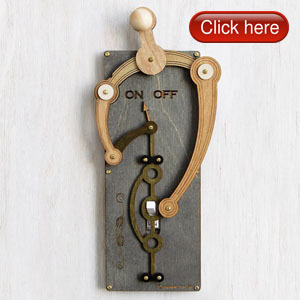 Lastly, users can buy new seed pads or additional trays from the online shop of the application. 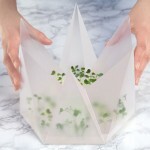 The initial consideration for the project was not only for the user to produce healthy greens but to make the cultivation process interesting enough to form a habit of consuming them. 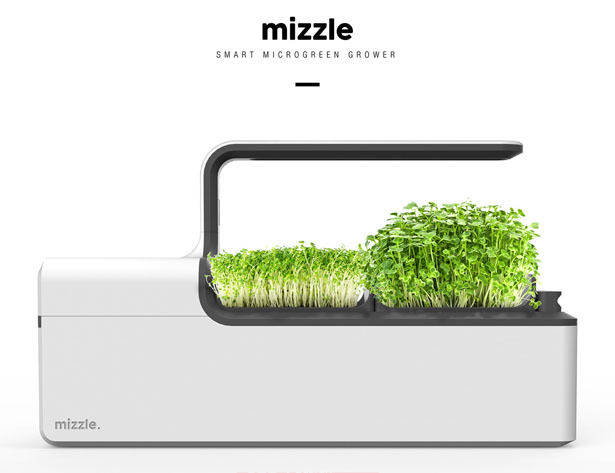 Tuvie received “Mizzle Smart Microgreen Grower” project from our ‘Submit A Design‘ feature, where we welcome our readers to submit their design/concept for publication. 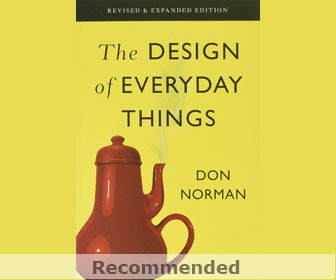 This entry was posted in Designs and Concepts, Food and Drink, Green. 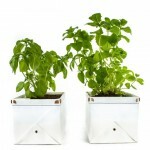 Tagged as aeroponics microgreen for small space, mini gardening, tabletop gardening. 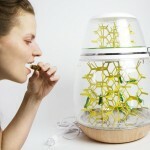 Lepsis Terrarium for Growing Your Food ... Bugs!